Bath bombs are so popular and for good reason! They really help you relax, add moisture to the skin, and make bath time feel more luxurious. 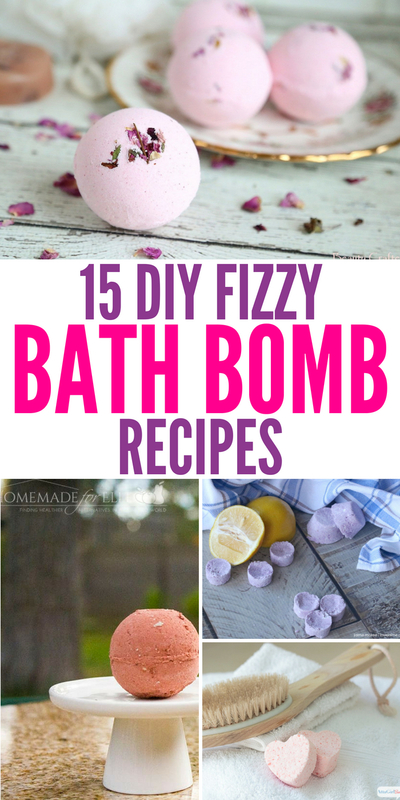 If you are on the hunt to make your own DIY fizzy bath bombs, then check out the ones I have gathered below. Bath bombs for headaches, calming fizzies for kids, bath bombs to help you relax and more. I love all the benefits you can get from certain bath bombs, and let’s be honest, who doesn’t love tossing a ball in and watching it fizzle away? Head to your bathroom and relax with a perfect fizzy bath bomb. I made my first DIY fizzy bath bombs awhile back and I was shocked at how easy it was to do. Just measure out your ingredients, toss in the mold of your choice and let dry. Even if you are not the craftiest person I think you could still master making your own homemade bath bombs! These are great for giving as gifts, having on hand for when guests stay at your home, and for pampering yourself. 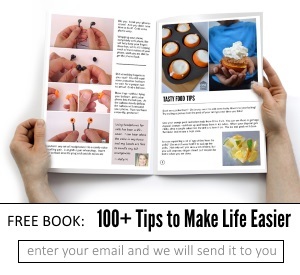 Check out these other stress relieving diy’s you can make. 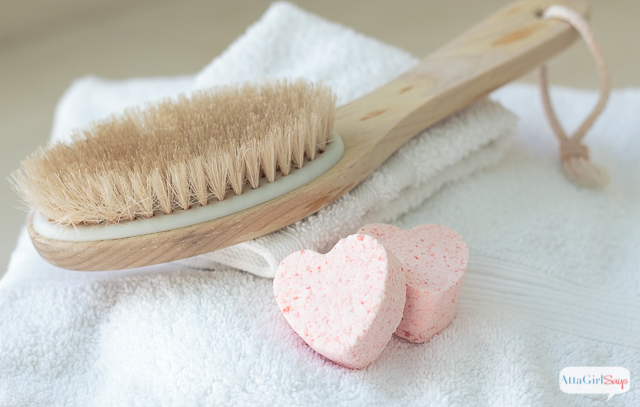 Check out these soothing DIY headache bath bombs that use essential oils. Whether you have a headache from a long day at work, migraine, or just from allergies, this bath bomb might help soothe that pounding head of yours. This citrus-scented bath bomb will give you a nice burst of energy from the uplifting citrus scent it releases as it fizzles away in the tub. 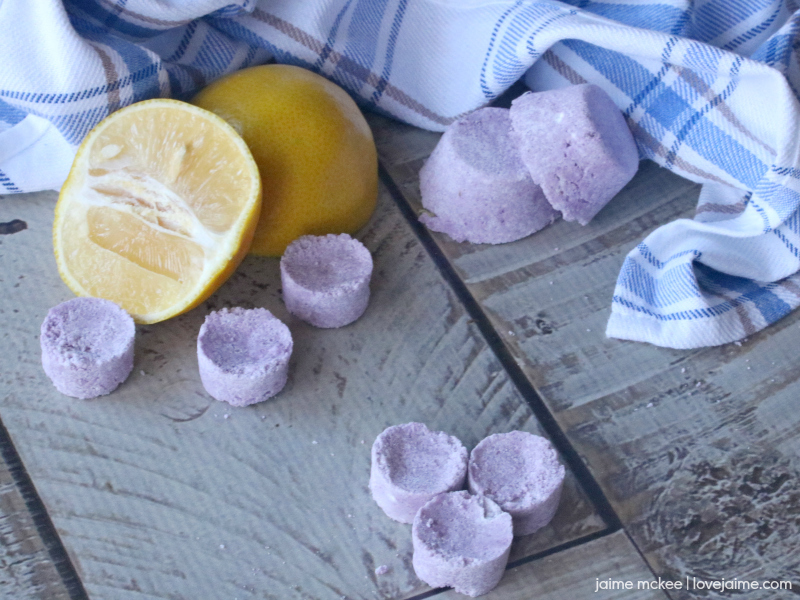 Easy homemade lemon bath bombs is a great recipe to follow. A very rich lemon aroma from the essential oils. Great for getting rejuvenated after a long day. I love these mini lemon lavender bath bombs that are great for really relaxing your body and mind. The essential oils together really help calm the mind and allows you to really breathe deep. Here is a bath bomb great for kids. It is calming bath fizzies that have a toy inside. It allows them to really build up anticipation for what will come out of the bomb. Another cute one for kids are these Mickey-shaped bath bombs. What little kid wouldn’t love a Mickey Mouse shaped bath bomb? I know I would have loved that. Jasmine and sandalwood heart shaped bath bombs are so fun and make great gifts, especially around Valentine’s Day. Just sit back toss a heart bath bomb in the tub and let it fizzle and transform your bath. Anti-Fungal bath bombs are great for treating a handful of fungal issues. They are also safe to use even if you are not experiencing any fungal issues. 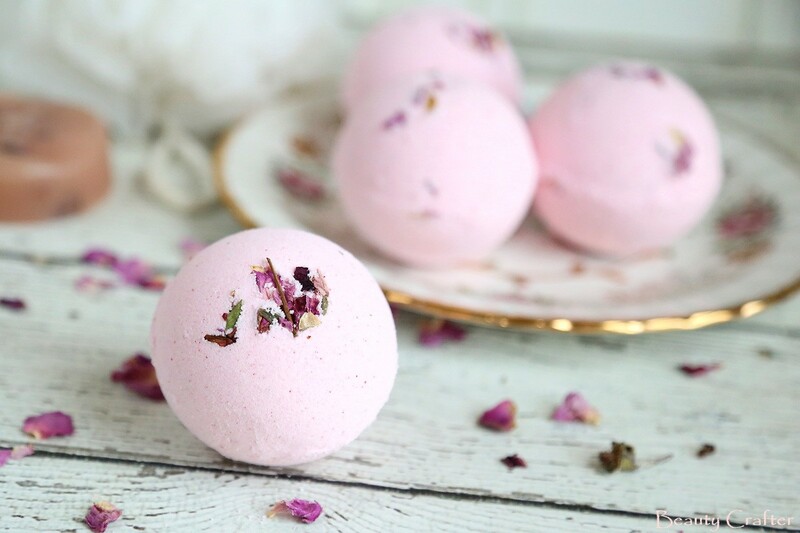 Grab some rose petals and make this homemade rose bath bomb that will make you feel like a million bucks when you dip your toes into the water. So hydrating and relaxing to your skin. 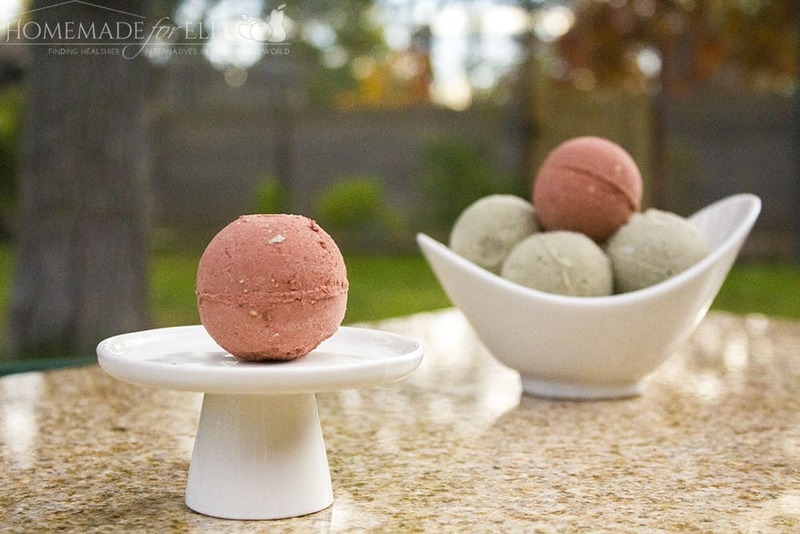 Rosehip oil bath bombs are great for helping fight wrinkles nourish the skin and more. Rosehip oil offers so many benefits to the skin, so it is a no-brainer to make a bomb and reap the rewards. Orange Lavender bath bombs are a beautiful mix of scents that really is great for anyone who feels exhausted and needs a pick-me-up. This is one to make and have on hand. Make these glitter bath bombs to give bathtime a little extra sparkle. Fun for adults or kids, and really make bath time a treat. 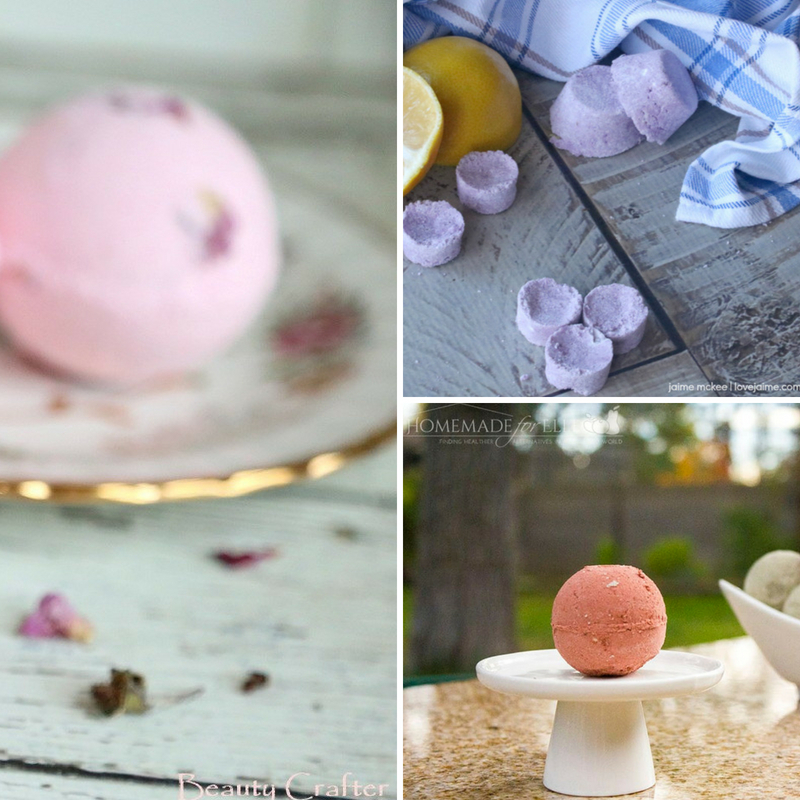 Whip up these rose bath bombs that use rosehip and rose petals for the most magical aroma and it is packed full of amazing benefits for your skin. Lavender Sage bath bombs offer a nice earthy aroma that is very soothing and calming. This particular bath bomb is great for if you are anxious or just feel overwhelmed, it is very soothing. You can harness the benefits of matcha with these green tea bath bombs. Perfect to give to a loved one or treat yourself to a soothing bath. Which is your favorite scent for bath bombs?